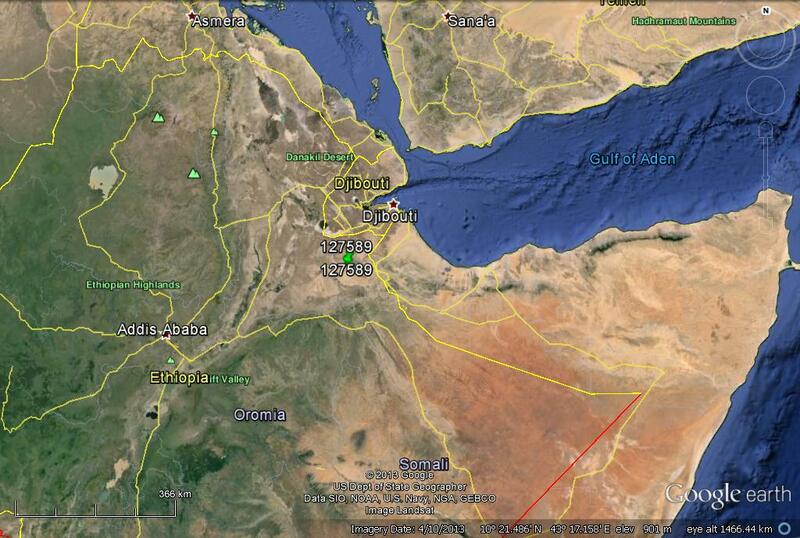 Assamo, the Egyptian vulture we fitted with a satellite tag in Djibouti this past spring, has spent his time during the end of July 2013 in an area of about 20 square km around the town of Adigala, Ethiopia. Have a look at his blog for more information. Below is a map showing his location in relation to regional geography. On a sadder note, vultures continue to be poisoned. Follow this link to a report on a poisoning event that killed almost 50 vultures. This report illustrates many features of vulture poisoning events, including that vultures are often not the target, large numbers of vultures can be killed at a single event, and that the loss of adult vultures can have a disproportionate effect on productivity. Such events are sad and are a huge threat to scavengers worldwide.